These issues are characteristic of using the best-efforts Internet. For meetings with customers, partners, or just between teams that involve video and audio conferencing, having the right network in place can often make the difference between collaborative success or just another frustrating, counter-productive experience. 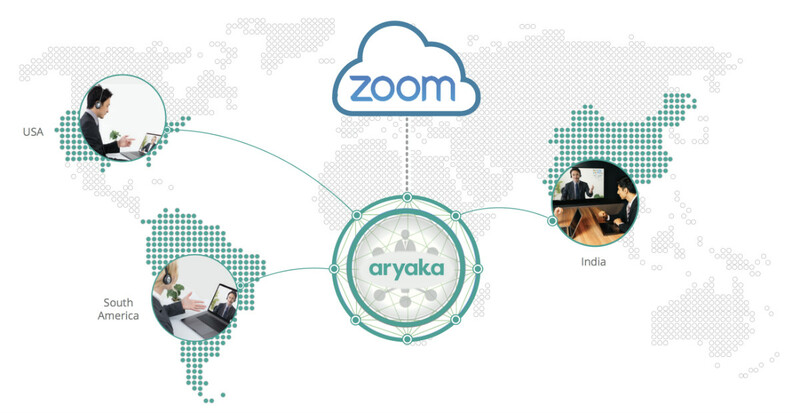 Aryaka delivers superior Zoom experience. Aryaka’s SmartCONNECT SD-WAN as a Service delivers predictable application performance for Zoom, offering enhanced productivity and improved collaboration for enterprises with distributed locations. With Aryaka® SmartCONNECT, you get a turnkey, fully-managed global SD-WAN service that delivers predictable performance for any application, anywhere in the world. The solution accelerates all SaaS applications with TCP and WAN optimization, connects to and between multiple cloud platforms, offers a 99.99% end-to-end reliability SLA, and deploys in hours. SmartCONNECT also comes with a virtual cloud gateway where local POPs, within close proximity to SaaS clouds, can act as a client to those ser vices. 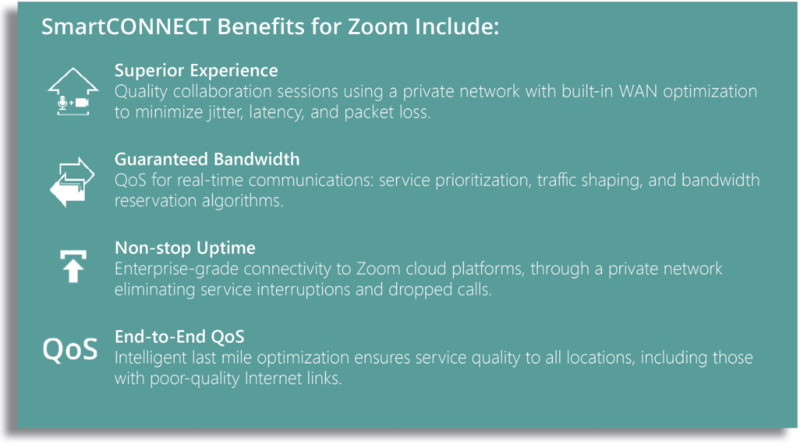 So if your Zoom service is hosted in Dallas and you have users in Europe, their experience would be much like they were on a corporate LAN connected directly to the Zoom cloud. The Aryaka POP in Dallas essentially acts as a local client to the Zoom cloud and the global private network would accelerate the application using WAN optimization, providing LAN-speed access. With Aryaka SmartCONNECT, you get predictable performance for your SaaS applications, regardless of location. with SmartCONNECT, your workforce will benefit from a superior collaboration experience without the need for MPLS. Aryaka and Zscaler have partnered to deliver a solution that combines Aryaka’s global cloud-native private connectivity, with built in WAN Optimization, SD-WAN functionality and application acceleration capabilities — with Zscaler’s advanced cloud security platform. Aryaka’s global SD-WAN provides fast, reliable, secure, and scalable connectivity, and application acceleration to globally distributed enterprises.